It’s that time of year where the first cold wind sends me running for my long johns and I start thumbing through the LL Bean catalog and mixing hot toddies. Every year I get a bit of a fascination with flannel, fleece, denim and thermal knit. 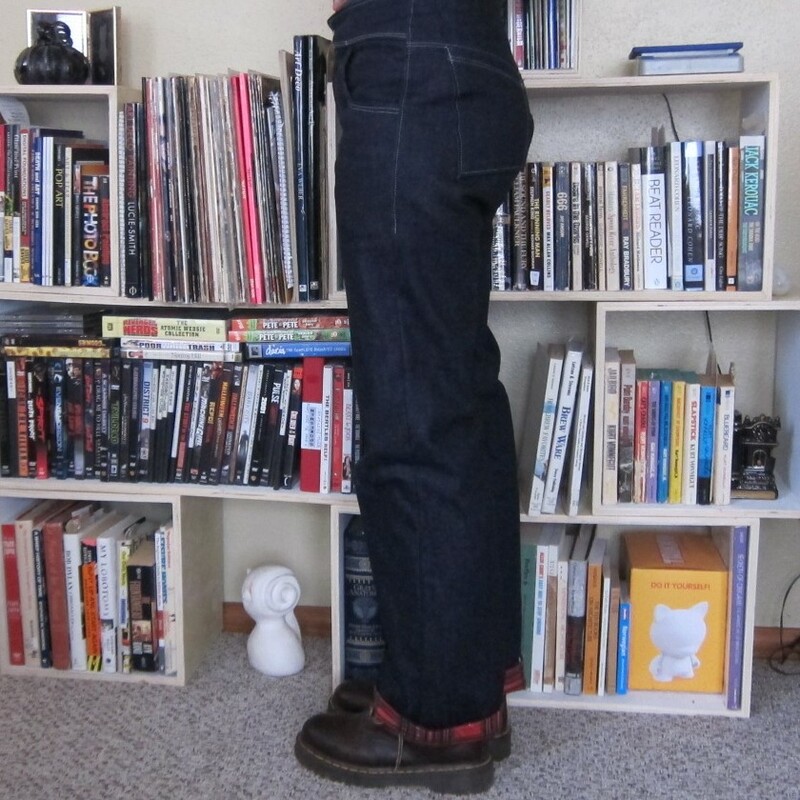 This year I’ve been thinking about the one pair of jeans I own. I’ve had them a year and while I love the design and the fit, they’re starting to look a little worse for the wear. The knees have gone baggy, they’ve started to fade and I wouldn’t be too surprised if they started developing holes. In general, if I buy something new and in style I’ll opt for something that isn’t too expensive. This leaves me with many things that aren’t as well made or long lasting as I’d like. I got the idea to make new pants. I wanted something that styled like a work pant (wide enough to fit over boots, roomy with big pockets) but would be warmer than any pants I’ve had. I started by making a mock up over the course of a week. 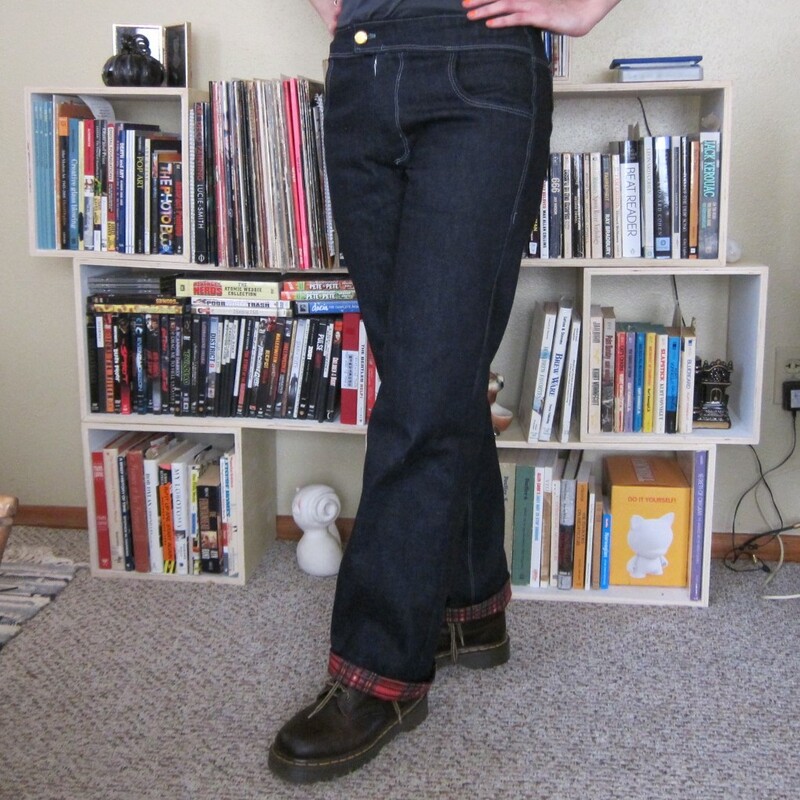 I hadn’t made pants since high school, about 2007 when low-rise jeans were still popular. 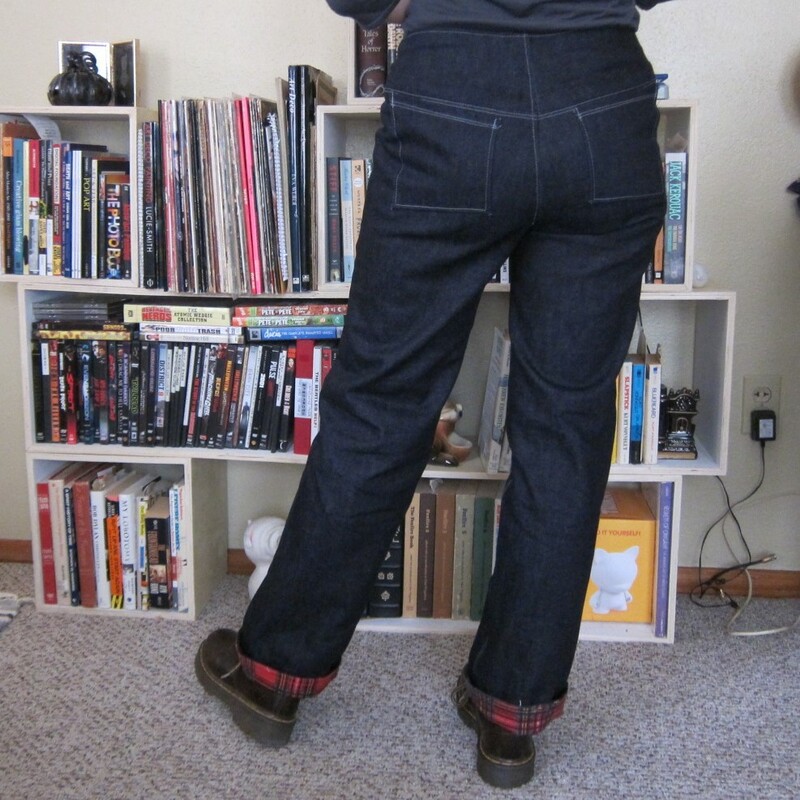 The only pattern I had for jeans was one with a very slim fit and low waist. 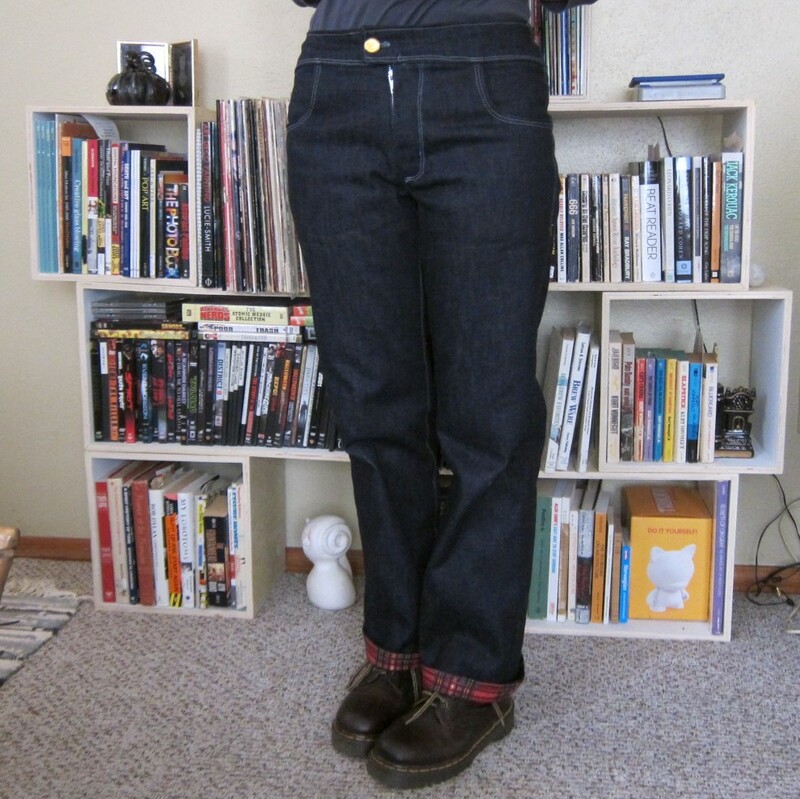 I changed the pattern a lot, making the pockets bigger, the rise higher and the legs roomier. 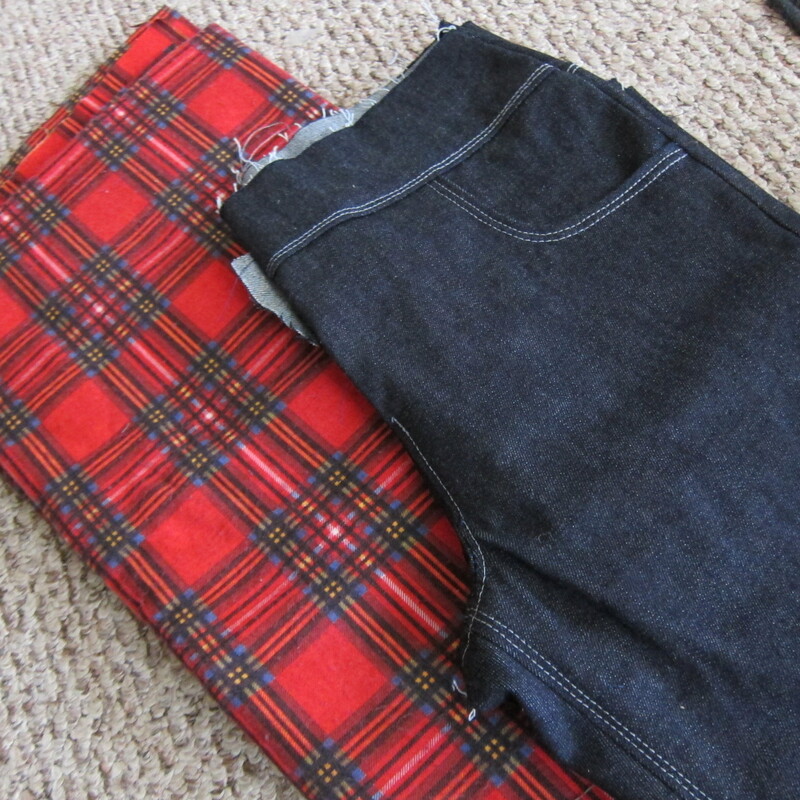 I ended up omitting the waistband in favor of a large yoke to which I’d attach the flannel lining. I didn’t want to spend much (as I didn’t know how these would turn out), so all I bought new was denim (a 98% cotton 2% spandex dark wash from Hancock’s) and a spool of heavy duty gray thread for top stitching. The flannel, zipper and button I already had. I would like to make these pants again and match the zipper and button better and add rivets. The denim I bought wasn’t very thick but the flannel is extra cozy. I started sewing the legs together and top-stitching everything. This part was pretty easy. The hard part about making pants is the dreaded fly. The only 2 other pairs of pants I made ended up with a fly that didn’t close right and just screamed “Hey look at this poorly constructed crotch!”. So I took my time and spent several hours on the fly and front yoke/waistband. 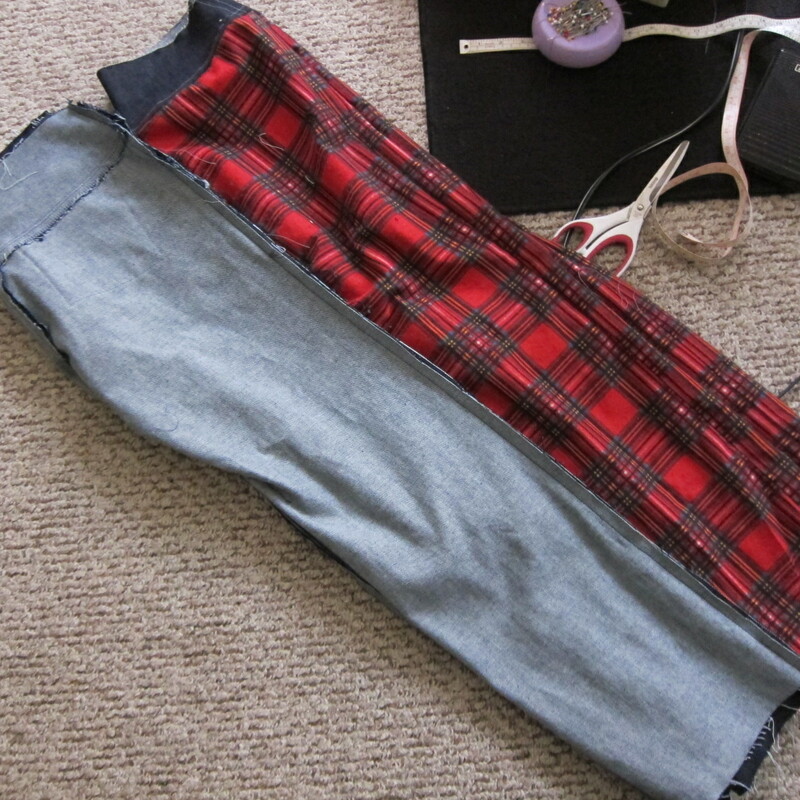 I made the flannel lining out of just the leg pieces and sewed them to an inside yoke made of denim. I joined the lining and pants at the top seam and stuffed the lining inside. I stitched the two together at the bottom with a top-stitched seam and hand stitched the two raw edges left by the inside fly. They turned out better than I thought they might. They’re big enough that I can wear them over wool tights and leg warmers, but they’re also form fitting where it counts. There’s a tiny gap at the back waist but I’m not sure if I mind enough to take them apart and fix them. The front fly came together well, but the zipper is still a bit visible. I probably shouldn’t have chosen such a bulky zipper, but again, I didn’t want to buy a new one. I’ll be saving the revised pattern I made with these and will probably try the project again in the spring, aiming to fix some of what I didn’t like about these.